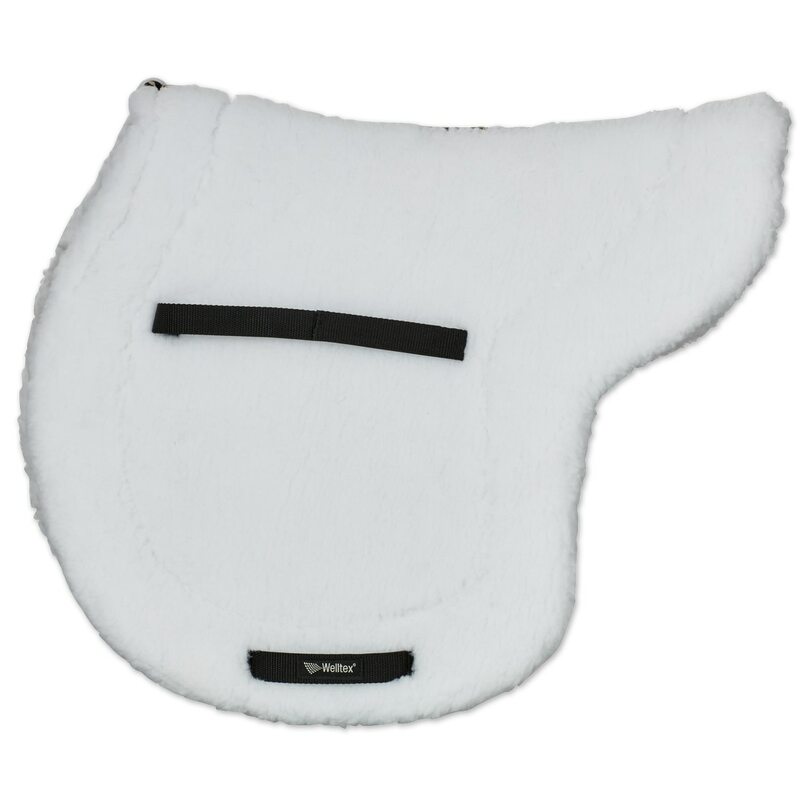 Back on Track’s new All-Purpose Teddy Saddle Pad is topped with white fleece and is perfect for use in the show ring! Our first fleece contoured saddle pad has all of the benefits of our other saddle pads, including our Welltex material which is known to increase blood circulation and relieve sore muscles, tendons, ligaments, and joints. The top is designed with white fleece and our smooth Welltex material is incorporated underneath. Take advantage of all the benefits of a Back on Track product, now with stylish white fleece! Measurements are: 21" spine x 20" drop. Back on Track Teddy Fleece Pad is rated 1.0 out of 5 by 1. Rated 1 out of 5 by Fleece pad from Nice try but NO I bought this a week ago with great anticipation of having something to use during the winter months and A-rated shows. Sadly disappointed. It is HUGE. I have a 17.5 saddle and it's hideous. I thought about keeping it for schooling but after three rides it shifts so much it's rubbed my horses hair off on the far back of the saddle pad & on the sides behind my leg. The fleece is super cheap and piles up at the girth area. It just falls apart really. The positive is the memory foam on the underside.